This morning I was out watering my flowers in preparation for a hot day. 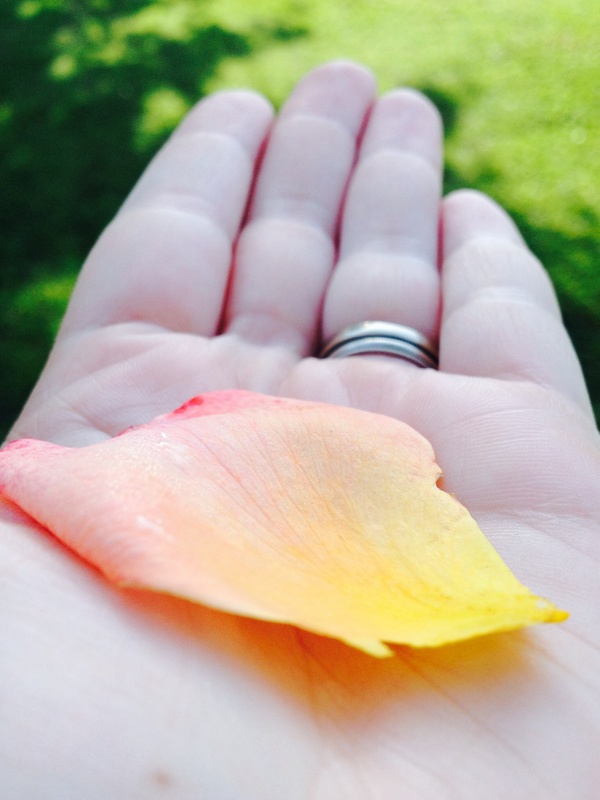 My rose bushes are in full bloom and I found this beauty of a rose petal laying in the grass. 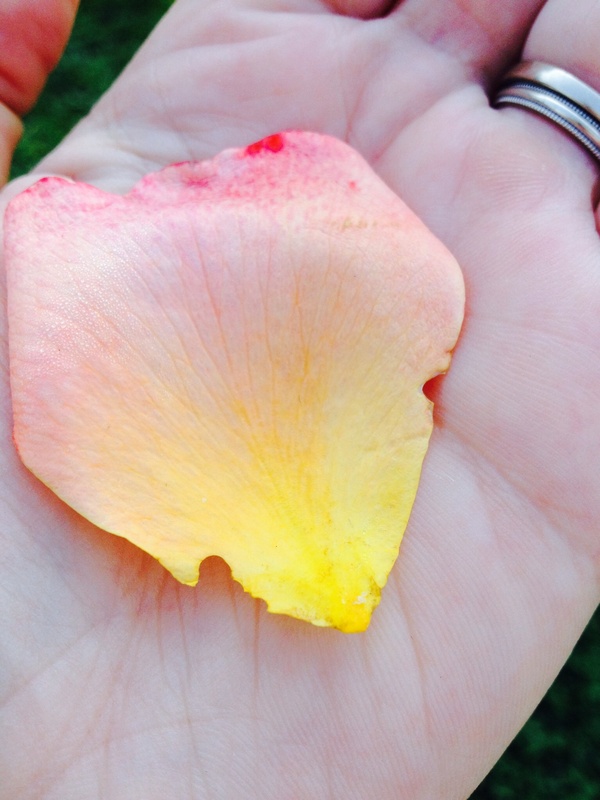 There on this tiny petal is a sunset. I wondered and marveled at it and then put it in my book where I dry flowers. This little treasure blessed me today. My rose bushes were planted in memorial of each of the babies that I have lost in miscarriage. I have three rose bushes, each unique, just like my babies. This particular bush is for my son, Caleb Augustine. What are small wonders and gifts of beauty that you have found today? God is THE Artist. Sunsets on roses. Amazing! Today is Memorial Day in which we remember those who have made the ultimate sacrifice. Take a moment to pray for those KIA and their families. ← Have a Blessed Memorial Day Weekend!